If there is one lesson I’ve learned since graduating from college four years ago it’s that consistency is the key to success. This is true for nearly anything. Whether you’re trying to save money, lose 20 lbs, read more books, or have a great relationship with your spouse, these things are dependent on your ability and discipline to be consistent. If you want to save money, you need to consistently say no to impulse spending and stay disciplined to your financial plan. If you want to have a healthy marriage, you need to spend time together regularly, never letting yourselves get into a rut of going through the motions. It’s one thing to say you want to read 25 books this year, but if you want to accomplish that, you need to consistently read 25 pages a day. Figuring out the “how” to losing weight is incredibly easy. Put yourself in a deficit by burning more calories than you take in. It’s easy to write a diet and exercise program, but for many people the hardest part is consistently sticking to it. In the world of personal development and self-improvement there has been much talk about the need to move on from goal setting and move towards building systems. The idea is simple: once you know what you want to achieve, don’t focus on the end goal and instead focus on the daily processes and routines needed to achieve that. As a serial goal setter, breaking down my goals into more defined daily habits has helped me tremendously. The problem comes down to executing those. Consistent effort over the long-term will almost always lead to results. When it comes to blogging, consistency has been a weakness of mine. 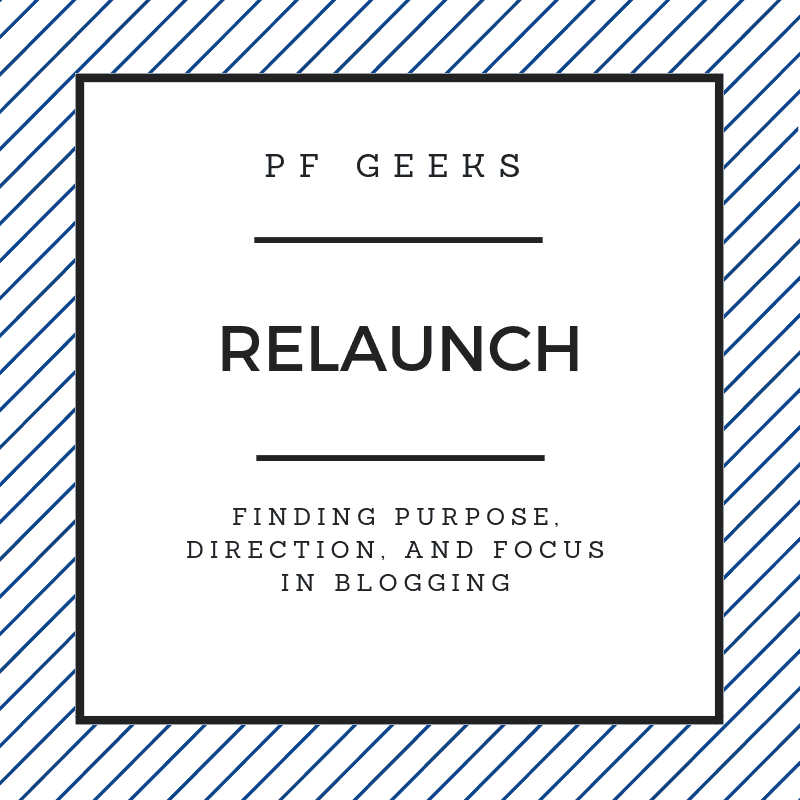 In fact, I haven’t posted here on PF Geeks since mid-May… but that’s all about to change. Why I Took 4 Months off from Blogging. This past Summer was incredibly and unexpectedly busy so blogging had to take a back seat. In the personal finance community there is a huge emphasis on the #sidehustle. Everyone is all about hustling outside of your 9-5 so that you can reach financial freedom faster. For several months, I was totally bought into this idea. I spent time trying to side hustle, build this blog, and figure out ways to make additional income outside of my day job. Long story short, instead of focusing on side hustling this summer, I put all my effort into my 9-5 job. I got an annual raise of $5,500 which was a fantastic % raise for my salary. Investing this difference over a 30 year career will increase our savings by over $600,000. More important than the $ amount of the raise is that I cemented my long-term position and ability to lead in my role. When I first started this blog, I didn’t have a clue what I was doing! I just knew I had a passion for personal finance and helping people. I had spent a few years constantly consuming all of this advice and just felt the overwhelming need to share my own spin! So one day after enough brainstorming, I bought the first domain that came to mind and got to work. I didn’t know what I wanted to write about, who I wanted to help, or what the heck I was doing. I was overwhelmed with the million different aspects of blogging: writing, creating images, website design, networking with other bloggers, SEO, Pinterest, and building an email list. Rather than slowly work through some of these and prioritize what matters early on, I was honestly just paralyzed from doing any of it. For such a planner, this was stressful. So I stopped. After a few months off though, I’m more excited than ever about what I’m hoping to do here. I spent the last few weeks reflecting and dreaming about what I want to accomplish here. 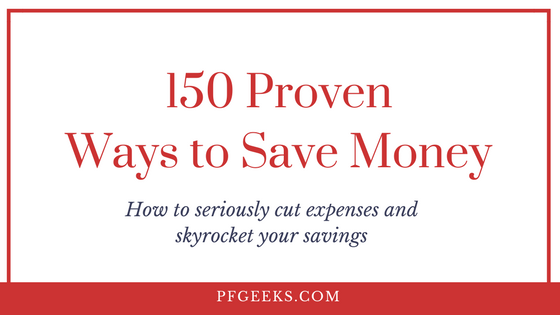 My mission here on PF Geeks is to help people earn more, save more, and take control of their money so that they can get out of debt, have healthy marriages, and make a difference with their money. Even more specifically, my BIG goal is to help thousands of fellow Christians build wealth and give generously to gospel and adoption related causes. Now I know not all of my readers and friends in the personal finance community have the same belief system that I do. And that’s okay! When it comes to earning more, saving more, and taking control of your money, the advice is almost universally the same. The only significant difference is what you do with your money once you have it. I think using your wealth, time, experience, status, privilege, and knowledge about money to help others is virtuous for all people. It’s something we should all strive for. Heck, I know great non-religious people who use their money to help others. Being a generous and helpful person is not an exclusively Christian practice. People who claim that are ignorant and need to get out of their bubble. Over the next few months I am turning on the gas and limiting myself to focusing on 3 areas of this blog. The foundation of all of these goals is writing and producing consistently. Everything else is secondary to this. I’ll be writing a mix of super personal stuff like our hope to adopt someday as well as finance specific articles about budgeting & investing. The hope here is simple: I want to build a tribe of people who are doing everything they can to win with their money. Creating new opt-ins, massive guides, and subscriber-only content. I absolutely love meeting up with people to help them figure out their finances. Just this past week I saved a friend over $400,000 over a life-time of investing by helping him pick a low-expense ratio retirement fund. Over the next few months, I want to do everything I can to do this for the people who read my blog regularly AKA the people on my email list. The hope here is to do a bunch of high-quality work now and reap rewards long-term when it comes to blog traffic. Traffic isn’t the goal, but if I want to help more people and get to know my audience, that means getting eyes on the site. I honestly don’t want to spend time every day promoting on social media. I’d rather focus on writing and getting to know people. Here’s a quick sneak-peek at some of the articles coming out over the next few weeks! I’ve loved being part of the personal finance community & the money blogging community. I’m excited to be more involved and get to know more and more people. Not much more to say than I hope you’ll join along! Heck yes on that massive raise!! And the religious bit will be hard for some to swallow, but I do feel like there’s a big gap there in the personal finance world – especially empathetic, caring, good people talking through their love of Jesus and their love of people. Unlike certain big time personal finance people… ahem. Not to name any names. Thanks Angela! I’m definitely hoping to be a good voice for what genuine faith (rooted in love) looks like. Too often people forget to lead with love first. Welcome back and congrats on the raise! I’m one of the decidedly non-religious folks who firmly believes in giving and from an observational standpoint (I suspect Angela and I see the same people in this lens), I think you’ve identified a niche that is sorely needed for people of faith. I find that the overlap between people of faith and people who LIVE the tenets of that faith (generosity to those to in need being one of the key points) is a lot less than I’d been led to believe when I was learning about religions growing up. I agree with you – you don’t have to be Christian to be giving (time, money, love), but if you are Christian, you do need to be giving. I’m always in support of teaching others how to care more about others, I look forward to your development here! Thanks Revanche! You always have such thoughtful comments. I completely agree that the overlap between the two is a lot less than one would hope. Heck, as a pastor I see this every single week! I’d love to hear more about your background someday. I’m a serial goal setter too, and I love your reminder to break them down into more defined daily habits. It’s so easy to get caught up in such big dreams that you don’t actually do the daily work to get there. What a great mission! It’s well defined and will be a great starting point for any of the future work you produce for the blog.I can’t wait to read your upcoming articles. This resonated with me especially after FinCon because I am going through a similar time of wanting to rebrand a bit and am feeling much more focused and motivated. I think you’re going in a great direction with some solid plans! I also agree with Angela’s and Revanche’s comments above, this is a needed niche and your views on it are refreshing. Thanks Emilie! I know we are totally the same when it comes to goal setting. I’m pretty sure I have WAY more fun making goals and thinking about them than actually doing the work to reach said goals. Time to work on consistency! I’m excited to see what might come about from your rebrand / planning post FinCon!